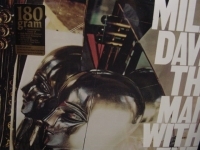 180 Gram Vinyl - items 350 to 375 Shop MyMusicFix!! 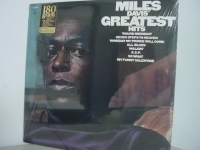 "Miles Davis, Greatest Hits - 180 Gram"
"Miles Davis, Jazz at the Plaza"
180 Gram Limited Edition Analog Virgin Vinyl. 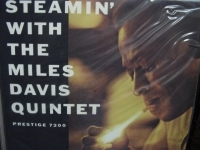 Recorded at a Columbia press party in 1958, this spontaneous LP features the Miles Davis Sextet that had the giant talents of John Coltrane, Cannonball Adderley and Bill Evans. 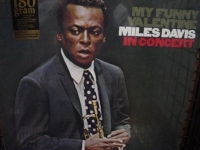 Tracks Include: "Straight" "No Chaser" "My Funny Valentine" "If I Were a Bell" "Oleo"
"Miles Davis, Man With A Horn"
180 Gram Limited Edition Analog Virgin Vinyl. 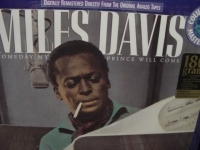 Tracks Include: "Springsville" "The Maids of Cadiz" "The Duke" "My Ship" "Miles Ahead" "Blues For Pablo" "New Rhumba" "The Meaning of the Blues" "Lament" "I Don't Wanna Be Kissed (By Anyone But You)"
"Miles Davis, Miles In The Sky - 180 Gram"
"Miles Davis, Miles Smiles - 180 Gram"
180 Gram Limited Edition Analog Virgin Vinyl. 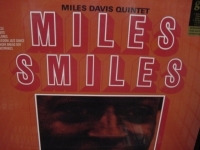 Of the six studio albums recorded by Miles Davis' second classic quintet, Miles Smiles is their definitive set. 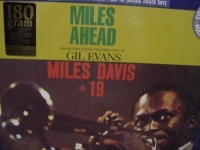 Tracks Include: "Orbits" "Circle" "Footprints" "Dolores" "Freedom Jazz Dance" "Ginger Bread Boy"
"Miles Davis, Modern Jazz Giants - 180 Gram"
"Miles Davis, My Funny Valentine - 180 Gram"
"Miles Davis, Quiet Nights - 180 Gram"
180 Gram Edition Analog Virgin Vinyl. 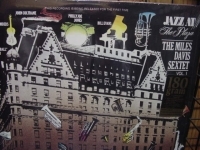 An overlooked classic! 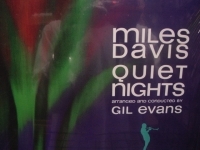 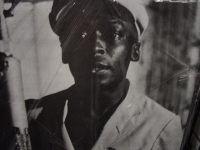 The stunning bossa-nova collaboration between Miles Davis and Gil Evans. 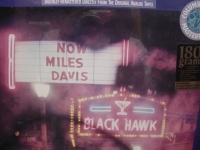 Tracks Include: "Song # 2" "Once Upon A Summertime" "Aos Pes Da Cruz" "Song # 1" "Wait Till You See Her" "Corcovado" "Summer Night"
"Miles Davis, Relaxin - 180 Gram - LAST COPY CURRENTLY SOLD OUT"
"Miles Davis, Saturday Night at the Black Hawk Vol 2"
180 Gram Limited Edition Analog Virgin Vinyl. 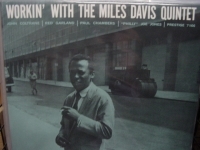 Captured live on April 22, 1961 with Hank Mobley-saxophone, Wynton Kelly-piano, Paul Chambers-bass, and Jimmy Cobb-drums. 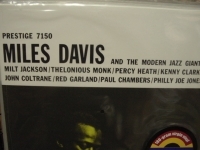 Also, included on this LP are restored solos which did not appear on the previous issues of this album for "Well You Needn't" "Fran-Dance" & "If I Were A Bell." 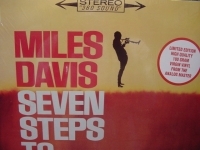 Tracks Include: "Well You Needn't" "Fran-Dance" "So What" "Oleo" "If I Were A Bell" "Neo"
"Miles Davis, Seven Steps to Heaven"
180 Gram Limited Edition Analog Virgin Vinyl. 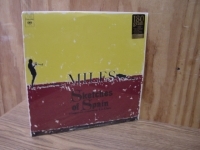 Tracks Include: "Basin Street Blues" "Seven Steps To Heaven" "I Fall in Love Too Easily" "So Near So Far" "Baby Won't You Please Come Home" "Joshua"
"Miles Davis, Sketches Of Spain"
"Miles Davis, Someday My Prince Will Come - 180 Gram"
180 Gram Limited Edition Analog Virgin Vinyl. 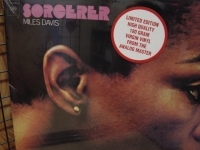 Tracks Include: "Someday My Prince Will Come" "Old Folks" "Prancing" "Drad - Dog" "Teo" "I Thought About You"
"Miles Davis, Sorcerer - 180 Gram"
180 Gram Limited Edition Analog Virgin Vinyl. 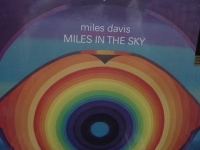 On this 1983 release, Miles Davis rediscovers the blues. 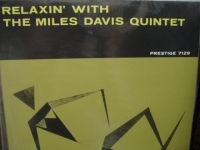 Davis is in fine form on this set with saxophonist Bill Evans, and the contrasting guitars of Mike Stern and John Scofield. 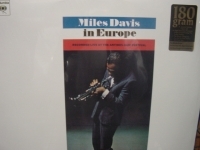 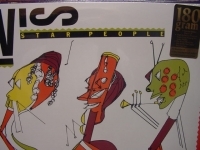 Tracks Include: "Come Get It" "It Gets Better" "S P E A K" "Star People" "U ' n 'I" "Star On Cicely"
"Miles Davis, The Man With The Horn"
180 Gram Limited Edition Analog Virgin Vinyl. 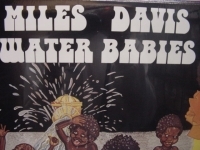 Tracks Include: "Fat Time" "Back Seat Betty" "Shout" "Aida" "The Man With The Horn" "Ursula"
"Miles Davis, The Musings Of Miles - CURRENTLY OUT OF STOCK"
"Miles Davis, The New Miles Davis"
"Miles Davis, Water Babies - 180 Gram"
"Miles Davis, Workin 180 Gram - CURRENTLY OUT OF STOCK"
"Miles Davis, You're Under Arrest"
180 Gram Limited Edition Analog Virgin Vinyl. 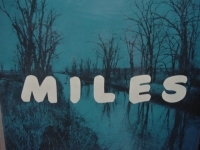 This 1985 album was essentially Miles' swan song for the Columbia label and it yielded two substantial radio hits. 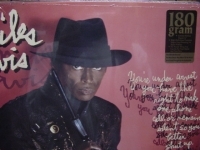 Tracks Include: "Human Nature" "Katia Prelude" "Katia" "Time After Time" "You're Under Arrest"